Sounds like an interesting solution I haven’t seen before for car dealers. This software could probably be applied to any industry. 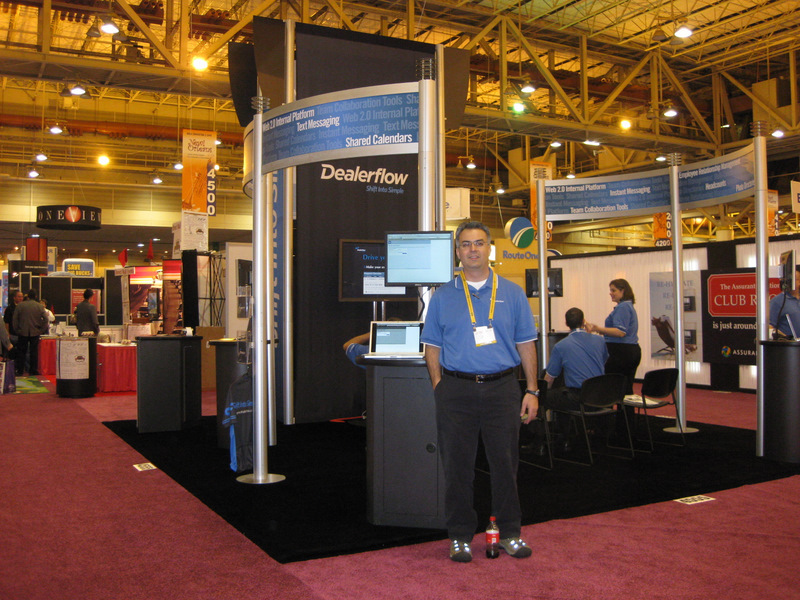 Wow from the Dealer Flow picture, above, it looks like there is nobody at the convention… was this taken before the doors opened. @umer, it was towards the end of the day. Also love the professional photos on that site you linked to. Having an API from Dealerflow to your dealers employee page on your dealer website would cut out some maintenance and keep the page updated. I like that! Even with the reduced exposure you had this year at NADA, could you write a smaller review than normal? You have a good take on things and I’m sure others would like to hear your musings on the subject. Jeff, thanks so much for covering Dealerflow on DealerRefresh. Good point about synergy… we’ll put the quote to good use. Umer, we’d like to do a website API later this year. Would be glad to collaborate with you on it. I wonder if Twitter itself ( instead of dealerflow ) could be used effectively for communication within a dealership. It seems to be a pretty useful tool for keep groups informed and communication flowing. Might have to give that a shot one of these days. I was wondering the same thing (about Twitter). There’s also another service called Yammer (I have no association with them.) that does this on an enterprise level. 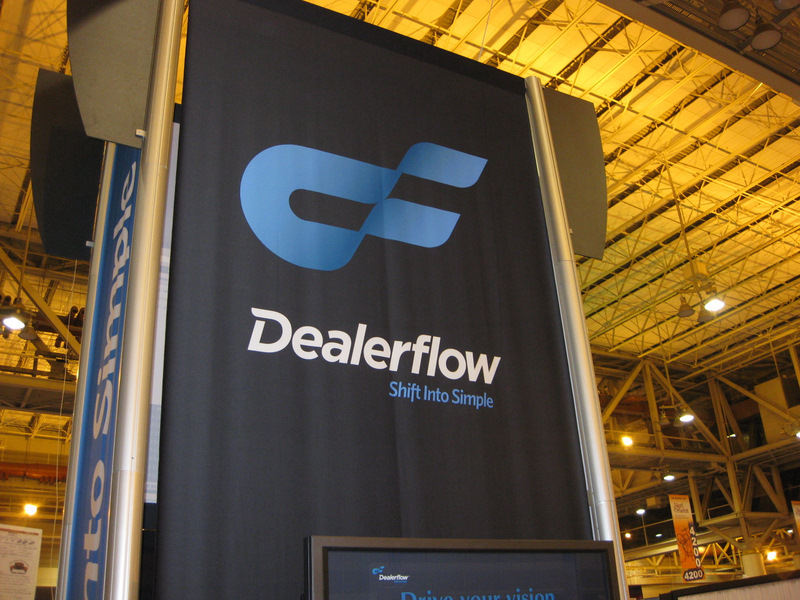 I really like the innovation Dealerflow has demonstrated with this product, but I wonder how many dealers like the idea of another software system. Dealerflow clearly has some very sharp guys on board and have probably already those of these issues prior to launch though. I have been more of a supply chain practitioner, though I spent 18 months learning sales and business development at the start of my career on a dealer showroom floor. Leading supply chain notions of interactivity such as this have attracted real attention. Working with vendors, getting inventory, A/P, A/R, BHPH, parts, service maintenance, customer service, F&I, sales, (new & used) and even detailing (the wash rack) into collaboration in real time, could even be done on the demo drive with a tool like this. This looks like a great value for the application, where it seems to be especially practical in multi-store operations. While this does not appear to be quite XBOX Live for dealership management, it does appear to deliver fantastic improved professionalism for dealers, so often maligned by buyers, and brings commercial efficiencies. Keeping up productivity of employees, it could be a step toward active business interaction. Including VOIP and text is a long way forward from Nextel and calling for another staff member (sales reps over loudspeakers) could save any industry in a physical environment with tens of thousands of sq. ft. The current challenge to the industry is dire. Those who invest today in such improvements will be well positioned when pent up demand and consumer confidence brings a rebound. Llama and Roland, we felt a literal business implementation of Twitter (Yammer) would be too disruptive for dealerships. We don’t have a “following” aspect. Dealerflow asks, “where are you?” You set yourself to IN, AWAY, or OUT, and optionally enter details on your whereabouts or what you’re working on. Then anyone in the company can check your status from a computer or cell phone when they need to find you. Every day at midnight all statuses are reset. We integrated statuses tightly with lots of other features in Dealerflow to give you tons of functionality in one system. If you use something like Twitter or Yammer, that’s one more app that just does one thing and that’s how dealers end up with lots of systems. Great concept! Could this product be introduced to the members of the Pennsylvania Independant Automobile Dealer Association on our website or in our monthly magazine? Can you tell me what dealers or groups are using your system ?